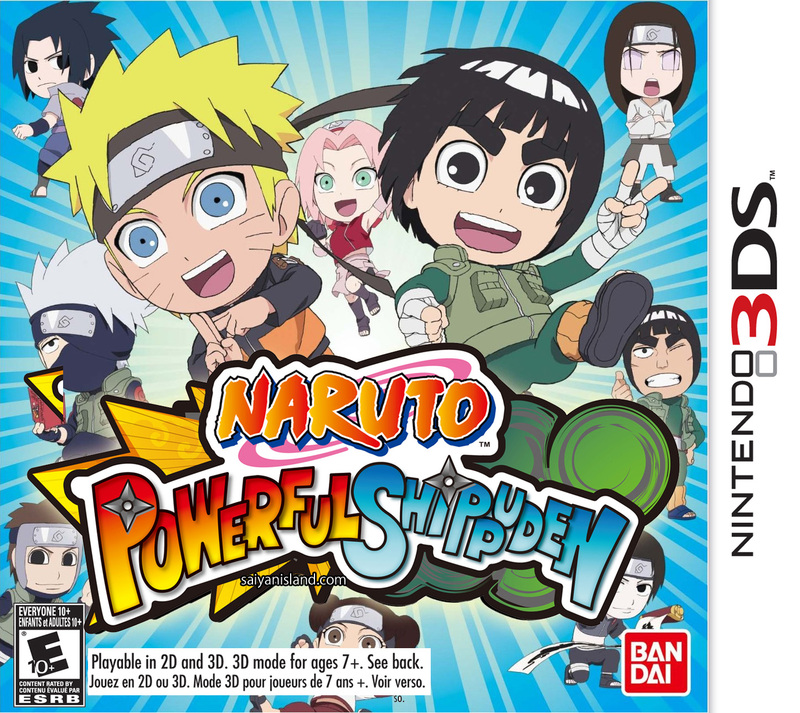 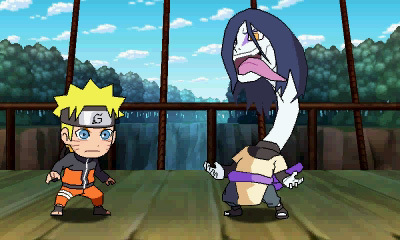 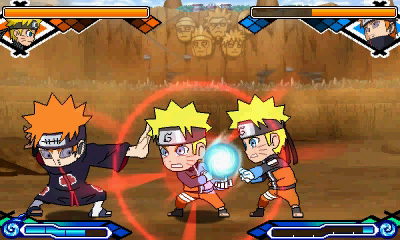 Today, Namco Bandai announced that Naruto Powerful Shippuden will be coming to the Nintendo 3DS on March 8th 2013! 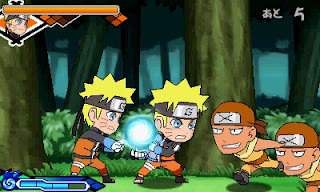 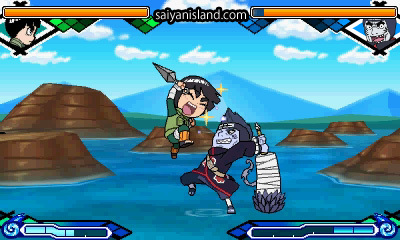 The game is based off of the new anime series Naruto Spin-Off: Rock Lee & His Ninja Pals allowing players to take the role of either whisker-faced Naruto Uzumaki or bushy-eyebrowed Rock Lee and enjoy lively ninja missions directly based off of their animated storylines. 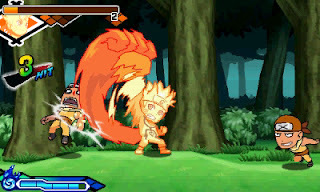 The pick-up-and-play gameplay allows even casual and young gamers to enjoy busting out flashy moves and special attacks throughout the game’s various stages. Players will be able to take the ninja brawl from the training fields to the forests to the mountains during both night and day. 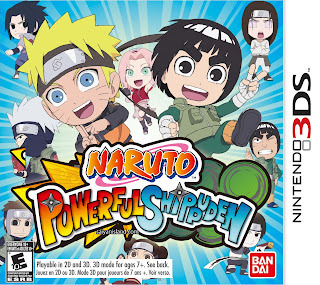 See new screenshots and box art below!